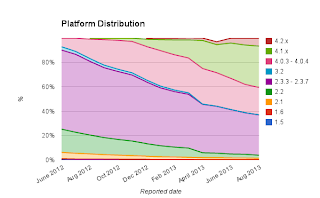 distribution platform New Android Platform Distribution shows JB on top! 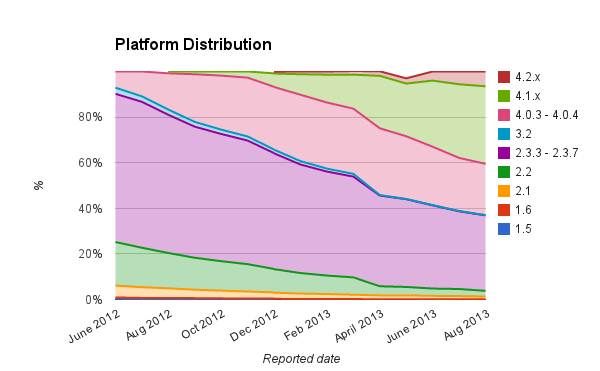 New Android Platform Distribution shows JB on top! 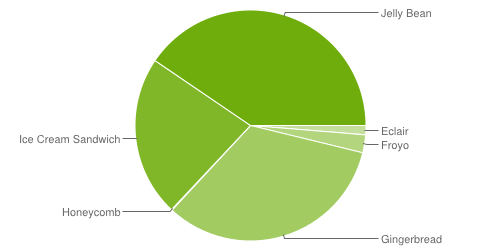 That's right, the 'impossible dream' is now here. 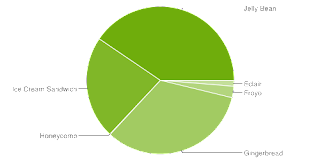 Having more devices on 4.1 alone is now more than those running Gingerbread (the awful release as I've heard it called before).